Your guide to the gift of a horse magazine for the english riding enthusiast. For the horseman or horsewoman who prefers the English style or participates in dressage or eventing, two excellent horse magazines are Practical Horseman and Dressage Today. 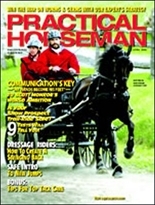 Practical Horseman - an excellent horse magazine and a good choice for those whose passion is english riding and/or participating in the english events. Practical Horseman is a "how-to" horse magazine focusing on the breeding, raising and training of horses for show, event, dressage, and hunt. The premier magazine for the dressage competitor and possibly the best magazine out there addressing proper riding technique is Dressage Today . 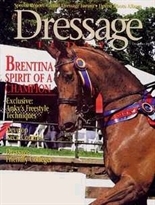 The content is strictly focused on the dressage discipline including how-to technique as well as news regarding competitions and dressage related events in general. This magazine also provides valuable content for the experienced rider who, though not directly participating in dressage events, wishes to improve his or her riding skills. Dressage Today and Practical Horseman would make an excellent companion pair for the dressage enthusiast.